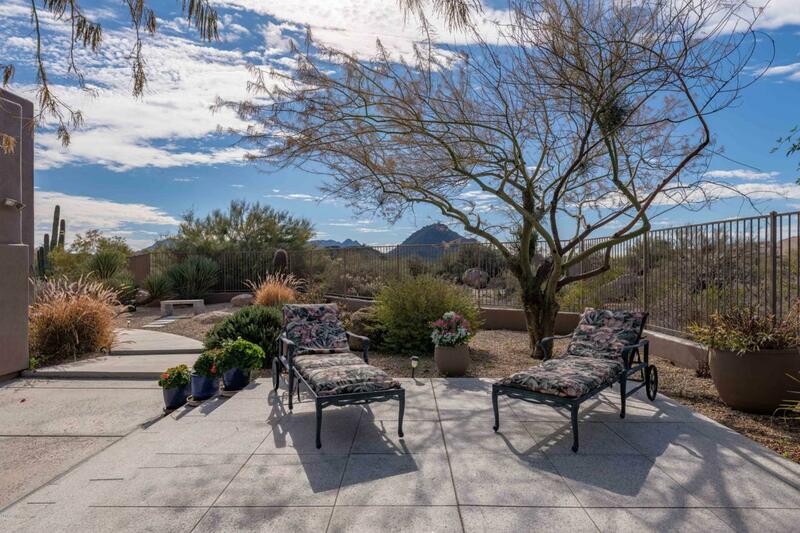 Located in Gated Desert Diamond Estates on a Generous .6 acre cul-de-sac lot w/private long drive opens to beautiful view of Troon Mountain! Home Features soaring 12ft. ceilings, fabulous open Kitchen/Greatroom concept w/split floorplan. Perfect fit for full or part-time owners. Kitchen w/Slab granite counters, backsplash & Huge island make this the perfect setting for Entertaining. Custom Cabinets and Slab Granite throughout! 4 Bed/3 Bath & Office/Flex Room complete this great layout. Spacious wraparound backyard with Perfect southern exposure for a Private Pool, opens to lush NAOS Sonoran Desert w/Boulders & Mountain Views! In the heart of an Amazing Resort Destination: near Top rated Golf Courses & several trailheads w/easy access to miles of hiking, biking & horseback riding trails. Cross Street Alma School Pkwy & Dynamite Blvd.